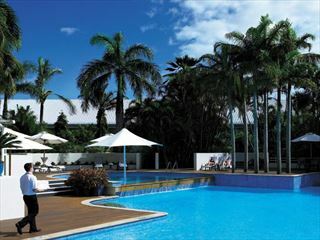 Witness the varying natural beauty for three of Northern Queensland’s most beautiful areas on this inspiring 10 night self-drive holiday. 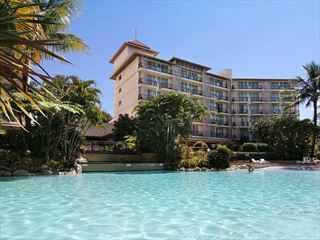 Start your trip at Cairns, a seaside paradise laced with the clear blue Great Barrier Reef and full of stimulating water excursions. 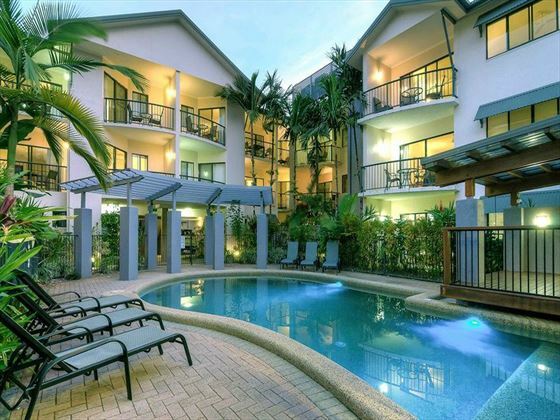 Next you’ll be heading to Port Douglas, a cool coastal town with incredible scenes and eclectic shopping and restaurants, before ending your holiday with the soaring forest landscapes and tranquil beaches of Cape Tribulation and its awesome Daintree Rainforest voyages (TM). 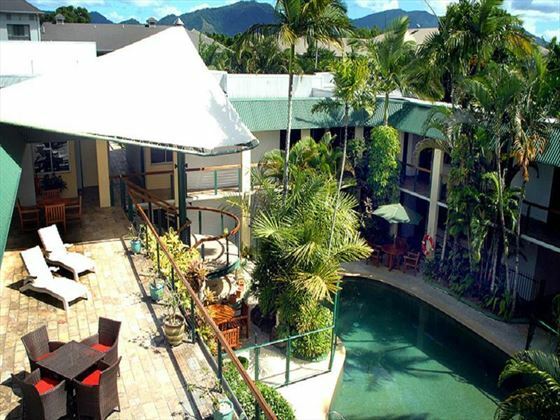 After your arrival at Cairns Airport you will pick up your hire car and drive to Bay Village Tropical Retreat, your accommodation for the next four nights. 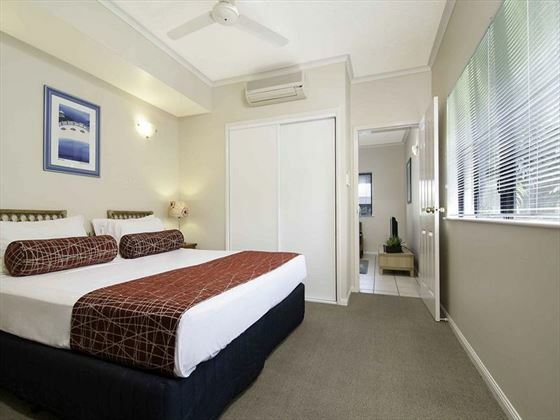 Located only a short walk away from the bustling Cairns waterfront and the Great Barrier Reef, this vibrant resort will provide you with a comfortable room nestled in lush green gardens as you explore what Cairns has to offer. 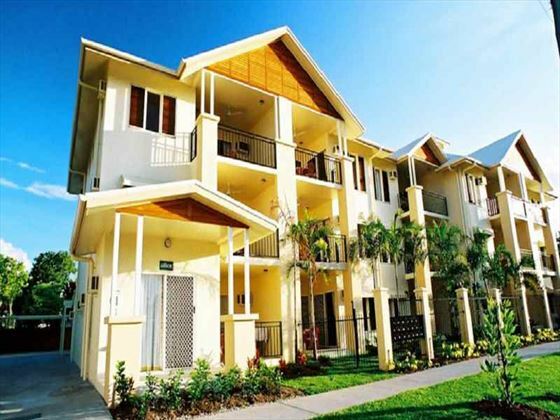 Known as the gateway to the remarkable Great Barrier Reef, Cairns is host to a plethora of entertaining water activities, including diving in the glistening Paradise Reef, kayaking at the peaceful Green Island and white-water rafting through the rough waters of Barron Gorge River. 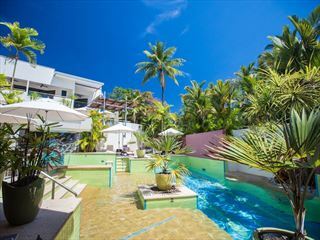 The fun doesn’t stop there, with seaplane rides above the gorgeous Heart Reef, hiking trails in Fitzroy Island National Park and the thrilling Kuranda Scenic Railway right at your feet. 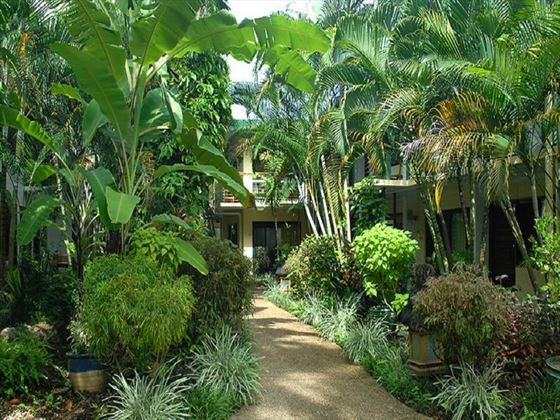 On day five you will take a scenic drive to Bay Villas Resort in Port Douglas; a modest, chic retreat only minutes away from the stunning stretch of Four Mile Beach. 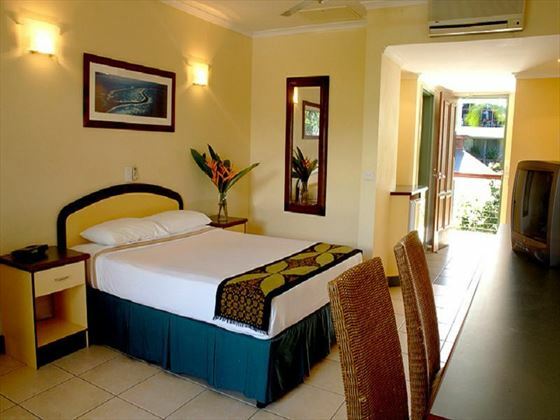 Peaceful and quiet, Bay Villas Resort will offer you relaxation and serenity after full days of exciting excursions near the city. The Great Barrier Reef Scenic Helicopter Tour and Cruise is a thrilling way to see the reef’s natural beauty - choose between a speedy catamaran cruise and a scenic helicopter flight to the Outer Barrier Reef Platform, where you can snorkel with colourful fish, dip in to a semi-submersible submarine, or wander through the underwater observatory. 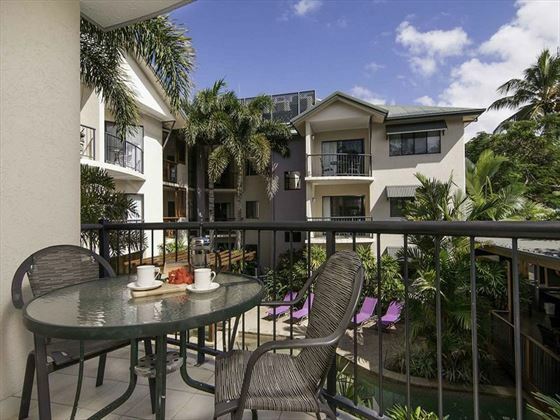 The city centre is host to the busy Macrossan Street full of stylish markets, historic buildings and a range of delicious restaurants, and only an hour’s drive away is Tjapukai Aboriginal Park, with an abundance of interactive demonstrations, live performances, and authentic art. 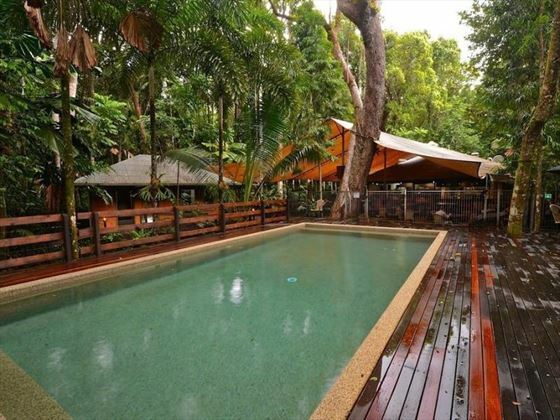 Next you’ll drive into the towering trees of Daintree Rainforest and venture to your next destination. 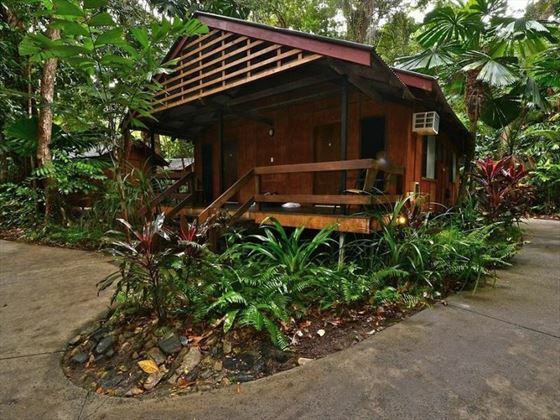 Sitting on the golden coast of Cape Tribulation with the vivid rainforest behind, Cape Tribulation Beach House is the perfect base for adventuring through the varying landscapes with an assortment of enjoyable outings. 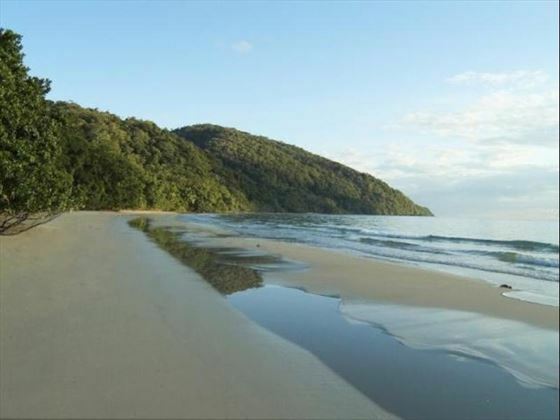 Hiking and horse riding are available at the fantastic resort, or you could take the short walk to Cape Tribulation National Park to see its incredible sceneries of warm sands and luscious greenery. For a unique view of the surrounding areas, enjoy an exhilarating Jungle Surfing Tour, with fast zip-lines speeding you through the thick forest canopies, or step into a sea kayak to saunter along the coastline. 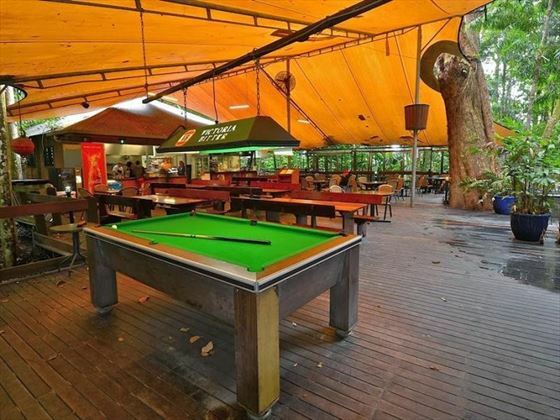 The city centre is also a great hub of delicious restaurants and bars.